My name is Barinderjit Singh Cheema. I am 41 and originally from Gateshead, but I now live in Walsall. I run under the name of Usingh Bolt. I currently work as an IT Technical Analyst in Birmingham. 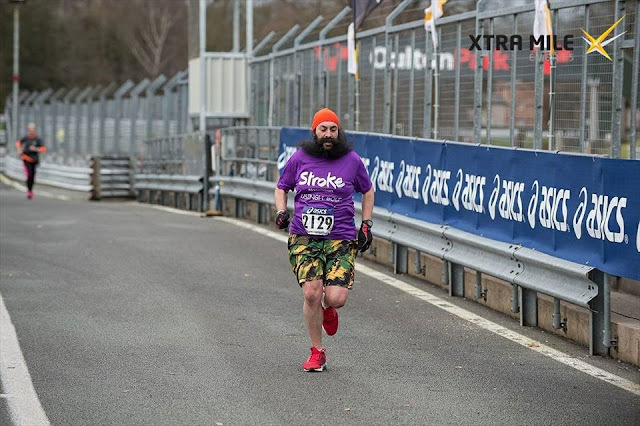 This year I am doing 10 10K’s, 10 half marathons, 10 full marathons and 1 24 hour endurance race for the Stroke Association. My first 2 races were on Feb 26th at Oulton Park and the final race will be the inaugural Birmingham marathon on 15th October. I’m lucky that I work just Monday to Friday and standard hours, so that I get in an evening run after work. As my weekends are normally free I get to do Parkruns to work on my speed and unless I have a race booked Sunday mornings are my long training runs. 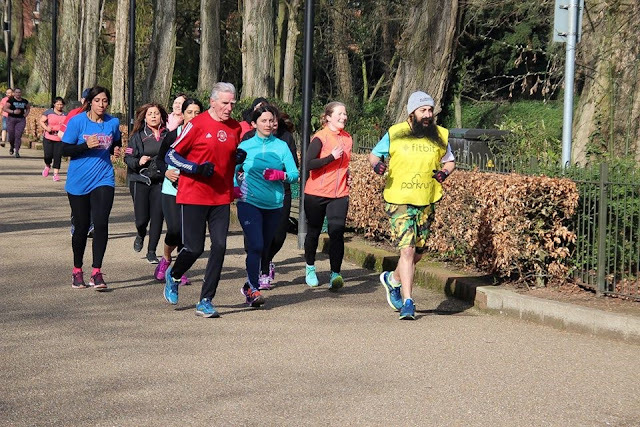 I’m also a member of Aldridge Running Club and attend the club run every Tuesday so that I’m mixing up my training with friends. As a kid in Gateshead I only liked the sprints. Anything above 400m was a no go. I remember when we were at Junior school it was compulsory to run the Junior Great Run which took place on the Saturday before the GNR. It was a 5 mile route and I hated it! It put me off running. Unless I was playing football I was not interested in running. When I turned 30 I decided that I wanted to run the GNR just once! 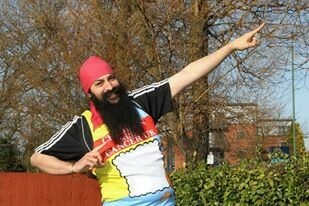 I ran it in 2006 for charity and then ran the London Marathon in 2007 for charity. I had a horrid experience and I went back again in 2008 and did slightly better. For the next 6 years I ran on and off mainly for charity in marathons and half marathons. Then in 2014 I set myself a 20 race challenge – 14 halfs and 6 fulls. That was the turning point for me. I completely fell in love with running and now hate the days where I don’t go out to run! When I’m raising money for charity then that is my biggest motivation. 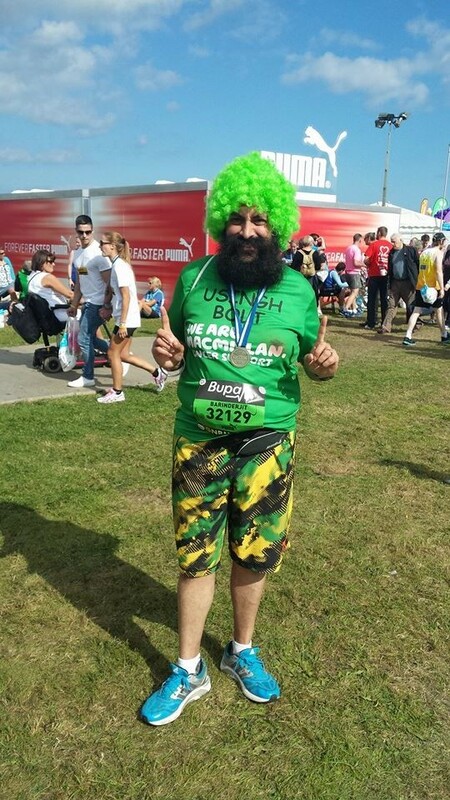 I want to put the training in to make sure I do the best I can when I am running for charity. Outside of these times, I know that if I don’t run the stamina and fitness I now have will slip away and I’m not prepared to let that happen. I’ve ran marathons non stop. 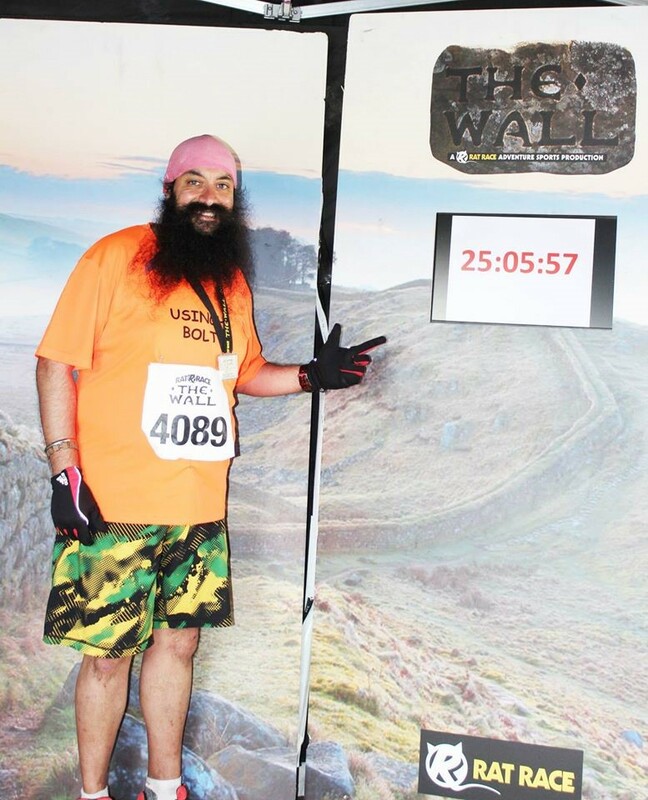 However in 2015 I did the 69 mile Race the Wall from Carlisle to Gateshead along the route of Hadrians Wall in 25 hours. I didn’t run all of it though. 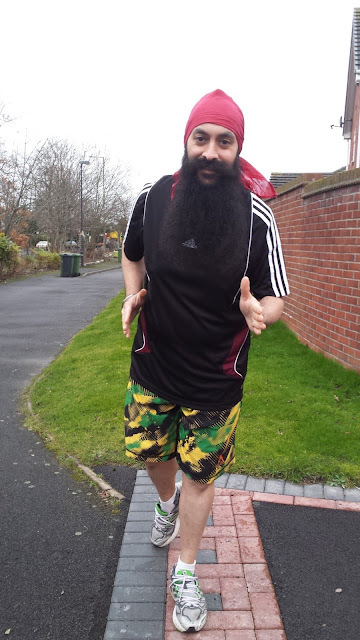 People are used to seeing runners on the streets now so that gives me the confidence to go out and run. 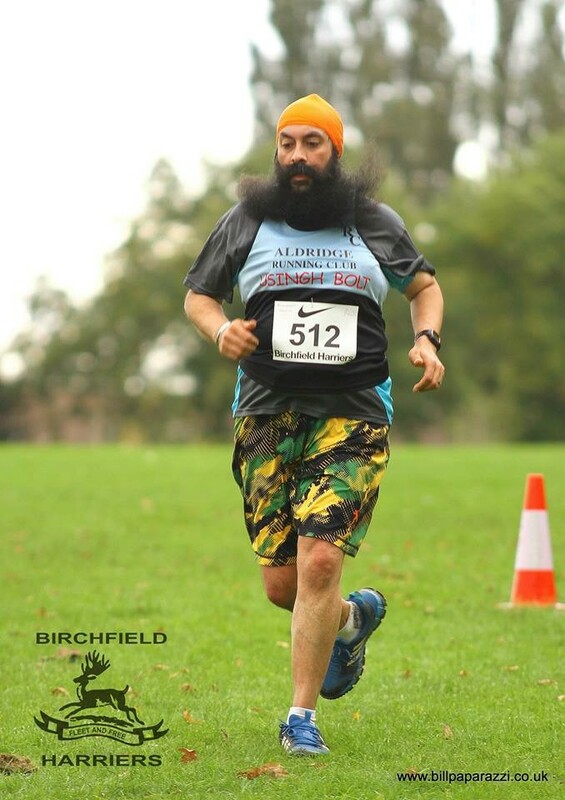 As I sport the name Usingh Bolt on my running tops and a lot of people in Walsall know who I am now, I know that I’ll always get some messages of support when I go out and run. I look back at when I did not exercise a lot and can’t believe I was so lazy and that others are so lazy now. With so many 24 hour gyms, Parkruns, 5 to 10k races in general and some great sports facilities, there is no excuse not to exercise at least 2 or 3 times a week. It feels to good after a training session and my health generally has been very good since I became a regular runner. 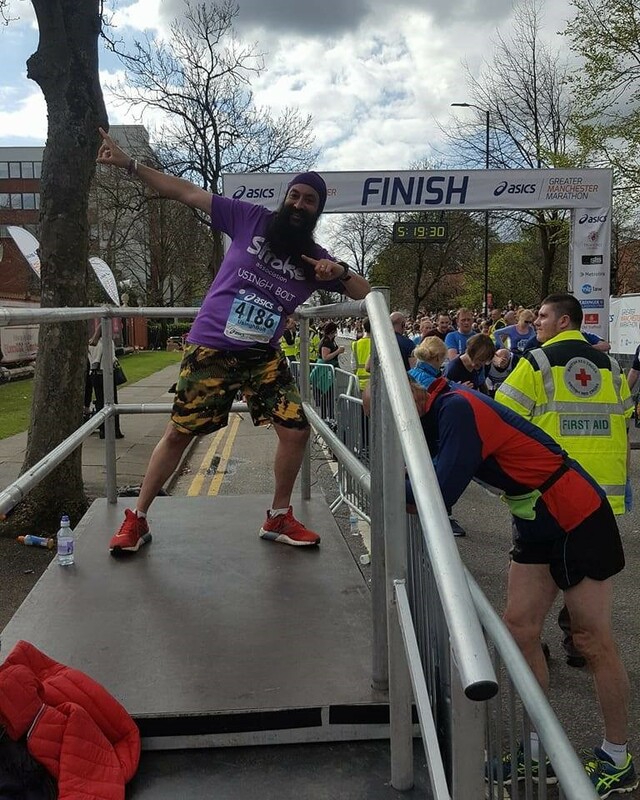 I think every run you do is an experience but for me Manchester Marathon in 2017 was the best. I was determined that I could crack the 5 hour mark in a marathon. I’d had 14 attempts after all! But on this day I worked hard and I did it by over 4 minutes. It felt amazing. Better than all my other PBs. Since then I’ve done another 2 sub 5 hr marathons and I feel that I’ve overcome something was playing with my mind. My first London marathon in 2007. I went off to fast, allowing the adrenaline rush to get to me. At mile 7 when I realised I was way ahead of what I’d planned to run it was a bit late as I could feel twinges in my knee. From mile 18 onwards I could only walk due to pain in my left knee and foot, and my lower back. It was agonising but I was determined to finish. On reflection afterwards I realised I’d under-trained and been too over confident. My worst experience, but it was also my biggest learning experience in terms of never wanting to experience pain like that again. I sometimes pray. 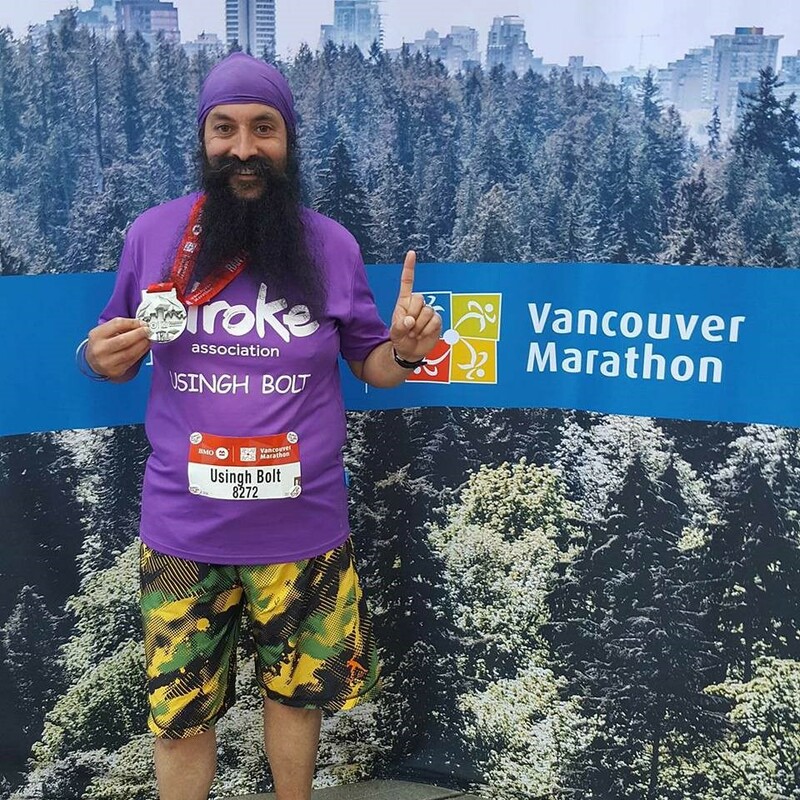 As a Sikh, I have a strong faith and I will sometimes meditate as I am running to relax my mind. It helps me to forget the pain. Depending on the distance left I will break up the remainder of the race into segments in terms of how long it should take me to achieve segments. Fortunately, I suffer very little pain when I run now. This is down to the bad experience mentioned above and never over-doing it. Take it easy to begin with. Don’t go out and run as fast as you can! Nice and gentle, work on your breathing and when you’ve had enough stop. I know a lot of people who tried to take up running but did not have the patience. You need to preserve and remain patient. If you can do your local parkrun. Having people around you, encouraging you to run is an amazing feeling.